Building control regulations, workmanship, oversight and procurement will be included in review. Photo: Colin Keegan, Collins Dublin. 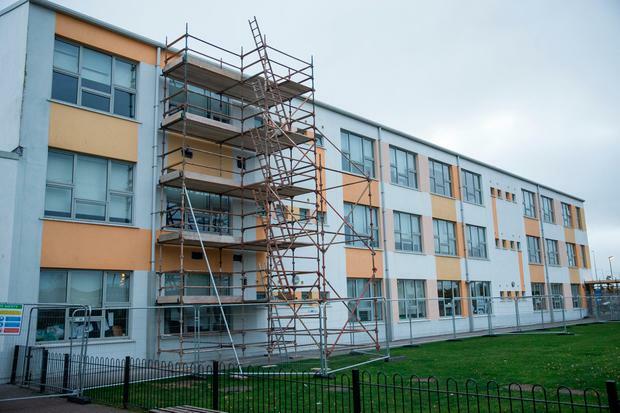 Remediation work begins this weekend on two of three primary schools in Dublin which have been limited to their ground floors because of concerns about structural safety. Work at Tyrrelstown Educate Together and the neighbouring St Luke’s National School, will continue for a number of weeks, both after school hours and over weekends, Education Minister Joe McHugh said. Mr McHugh said work would also get underway in the ”immediate short term” at Gaelscoil Eiscir Riada, Lucan, for which a solution was still being finalised. All three schools have had to relocate some pupils to alternative accommodation because of the restrictions imposed by the installation of protective measures, arising from structural assessments conducted. Mr McHugh acknowledged that Gaelscoil Eiscir Riada was “under pressure” because of the nature of its arrangements around temporary accommodation. 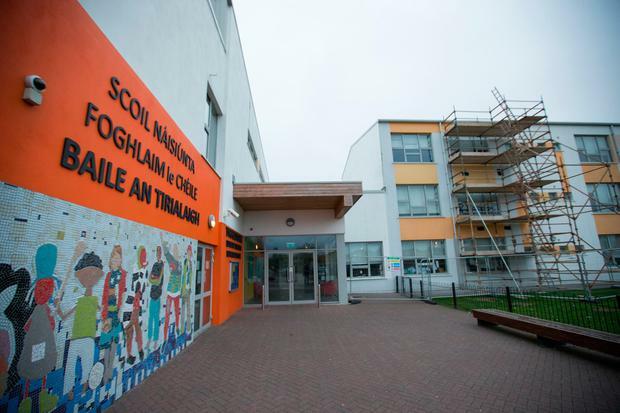 The three are among 42 schools built by he same contractor, Western Building Systems, which were assessed after concerns about structure emerged about the Phase 1 building Ardgillan Community College, Balbriggan, Co Dublin, which has closed. The minister said further checks were being conducted on 19 other schools that were cleared to open after the initial assessments but with external precautionary protective measures . This work will continue into the New Year. No interventions were required in another 19 schools. Mr McHugh said he was seeking a supplementary estimate to cover the cost of work being undertaken this year, and was also speaking to Finance Minister Paschal Donohoe about additional money for 2019. “I am conscious that we are in a space where extra money will be needed and it is unfortunate we are in this situation. I am also conscious, and something I have very publicly stated, of where culpability, responsibility lies; that is where the money should be coming from," he added. He said they were continuing to engage with their legal team and the Chief State Solicitor’s Office on the matter. WBS has consistently maintained that each of the 42 schools was “previously certified for completion as being free from defects and suitable for use by the Department and its employed professionals”. The Department of Education has countered this assertion by stating that a certificate of completion is not a certificate of compliance with building control regulations. Laura Lynott MTV insists there is "no evidence" any media presence in Derry "contributed or impacted" the night of rioting which culminated in the murder of Lyra McKee.